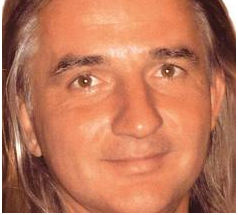 Croatian Healer Braco is returning to Los Angeles, then traveling to Arizona and San Francisco. Thousands will experiment or experience Braco's Gazing Sessions during March 2012, and more stories of healing and relief will be added to Braco's 15 years of touching people's lives. Science and faith might be able to converge by studying those who combine mind-body experiences such as Braco. When patients slated for heart surgery or Vets with PTSD state that Braco Gazings changed their lives, we need to study what is occurring. Queries about Braco's healing gaze brings believers and skeptics together in the California and Arizona areas during March 2012. Does Braco have some integral healing skills or powers which he offers during these meditative gazing sessions? What exactly occurs during Braco's meditative gazing sessions has not yet been measured by empirical or scientific data-collecting tools. However, case-history data is continuing to be collected associated to these increasing numbers of healed individuals (see BracoAmerica.com for more details and other sites of information to consider). "New science associated to the mind-body connections demonstrates that psychological experiences associated to belief, meditation, feeling loved and a host of other positive processes can effectively improve the body's well-being," describes Dr. Carol Francis, Psychologist and researcher of mind-body healing experiences. "For example, Dr. Bruce Lipton, Cellular Biologist, has researched and compiled considerable information about the physiology of the mind-body processes. Is this what Braco's gazing sessions utilize to help people become healthier? Or does Braco usher in other powers of influence, energy healing or divine interventions? These are questions I hope can be observed and answered during these next years of research and interviewing," Dr. Francis explains. Perhaps with the advent of new technological devices and scientific tools, some of these questions can be answered. Believers and skeptics alike can examine what Braco offers to this planet objectively and personally. For the interested attendees who would like to experience the Braco Gazing first hand, BracoAmerica.com organizes opportunities to experience Braco live or on the internet. March 18 and 19, between 10:00 am to 6:30 pm, Braco will be at WC Marriott in Woodland Hills, CA. On March 21, Wednesday, from 10:00 am to 6:30 pm, he will be in Tucson, Arizona in Loews Ventana Canyon. Even more conveniently, Braco can be experienced in front of computers at home or offices by viewing each session on-line over live streaming. Check the schedule for Friday, March 16: 8 am, 9 am, 10 am, 11 am, 12 pm, 1:00 pm, 2:00 pm PDT; Saturday, March 17: 8 am, 9 am, 10 am, 11 am, 12 pm, 1:00 pm, 2:00 pm PDT for live-streaming. More events throughout the United States and Europe are being organized as well. All information can be attained through BracoAmerica.com.